Have you live your life always saying "NO" to everybody, making excuses and ignoring every possible opportunity that comes in your life? Then you can be like Carl Allen. 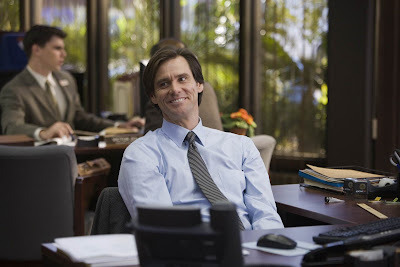 Carl Allen (Jim Carrey) is a man with no direction in life and spends his whole life denying all possible chances in his miserable life. Though contended and possibly happy on his present condition, he starts loosing everything including the opportunity to be promoted in his job and most specially his best friend Peter (Bradley Cooper). But everything is about to change when a friend (John Michael Higgins) asked him to sign up on a self-help program. A program that will greatly teach him how to value everything that comes to his life. From the director of "The Break Up" and "Bring it On", Peyton Reed and from the screenplay by Nicholas Stoller and Jarrad Paul & Andrew Mogel, based on the book by Danny Wallace, "YES MAN" is a story of a man's journey to discover what is beyond his current lifestyle, saying the other word than the word he use to utter everyday to all the people he met and do life chaging moments with people around him. Once again, Jim Carrey did a pretty good job on making everybody laugh. The whole movie is a total wacko. 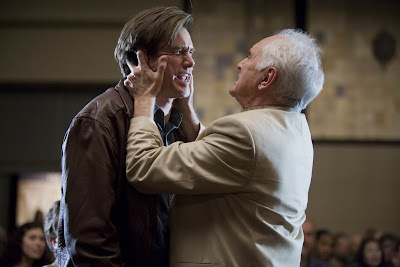 Though in some scenes, it is evident that Jim Carrey is stepping out of his usual style and trying a different approach. 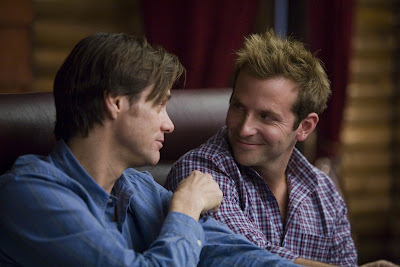 Bradley Cooper also done a good job portraying the character of Peter, Carl's best friend. Though I find most of Carl and Peter's scenes very awkward (especially the argument scene, they look like lovers arguing to each other), I can say this is one of the most genuine Best Friend Role portrayal I ever watched on screen. On the other hand Jim Carrey and Zooey Deschanel's character (Allison) lacks chemistry due to almost 18 years of age gap. Yeah, Zooey can play Jim's daughter and here they are making out on a dark hill being watched by street low lives. The story is predictable. Thanks to press releases and trailers. The plot is somehow a mix of Bruce Almighty and Liar Liar. A man needs an epiphany so another man magically (or so he know) cursed him to do something that is morbidly and socially devious. The movie is plain and simple. 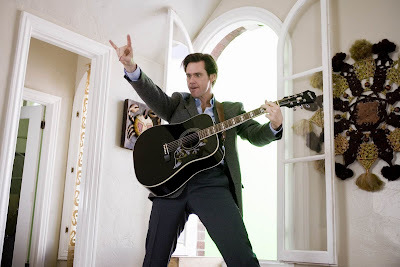 The important thing is with Jim Carrey, they will never fail to make all audience laugh every single moment Jim do his thing. The verdict? YES MAN is indeed a fun movie to watch. More enjoyable if you have somebody to laugh with so bring your friends and family to the cinema to enjoy this movie. A good value for your money especially if you just want to relax and have a good time watching a not so deep movie. And YES I will give it a two thumbs up. 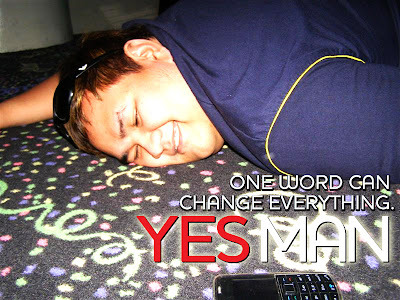 Yes Man will premiere in Philippine cinema next week January 21, 2009. 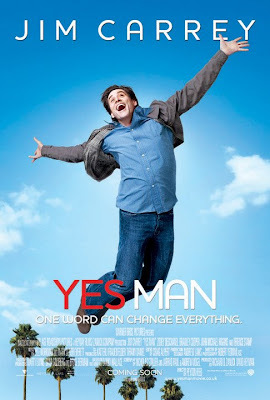 Yes Man will be distributed worldwide by Warner Bros. Pictures, a Warner Bros. Entertainment Company, and in select territories by Village Roadshow Pictures. Thanks to Warner bros. Philippines and Azrael for the invite.